Race Dash for Sim Games v3.8 is now available in the iOS App Store. It’s a companion dashboard app for the F1 2016, F1 2017, F1 2018, Project CARS, Project CARS 2, Forza Motorsport 7, Forza Horizon 4 and Assetto Corsa games which recreates a race car dash and displays live telemetry data from the game to add depth and realism to your sim racing. Race Dash for Sim Games v3.7 is now available in the iOS App Store. 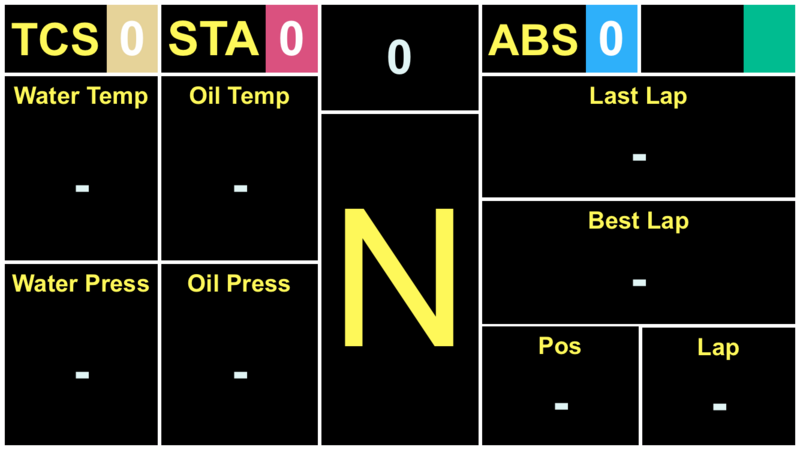 It’s a companion dashboard app for the F1 2016, F1 2017, F1 2018, Project CARS, Project CARS 2, Forza Motorsport 7 and Assetto Corsa games which recreates a race car dash and displays live telemetry data from the game to add depth and realism to your sim racing. Race Dash for Sim Games v3.6 is now available in the iOS App Store. 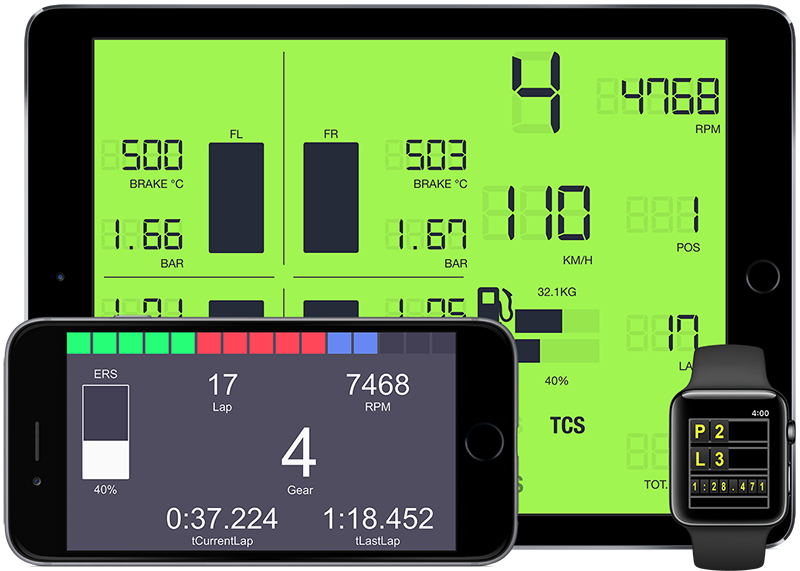 It’s a companion dashboard app for the F1 2016, F1 2017, F1 2018, Project CARS, Project CARS 2 and Forza Motorsport 7 games which recreates a race car dash and displays live telemetry data from the game to add depth and realism to your sim racing. -Modern 11 for PCARS, PCARS2 – thanks Greg! Race Dash for Sim Games v3.5 is now available in the iOS App Store. It’s a companion dashboard app for the F1 2016, F1 2017, F1 2018, Project CARS, Project CARS 2 and Forza Motorsport 7 games which recreates a race car dash and displays live telemetry data from the game to add depth and realism to your sim racing. Race Dash for Sim Games v3.4 is now available in the iOS App Store. 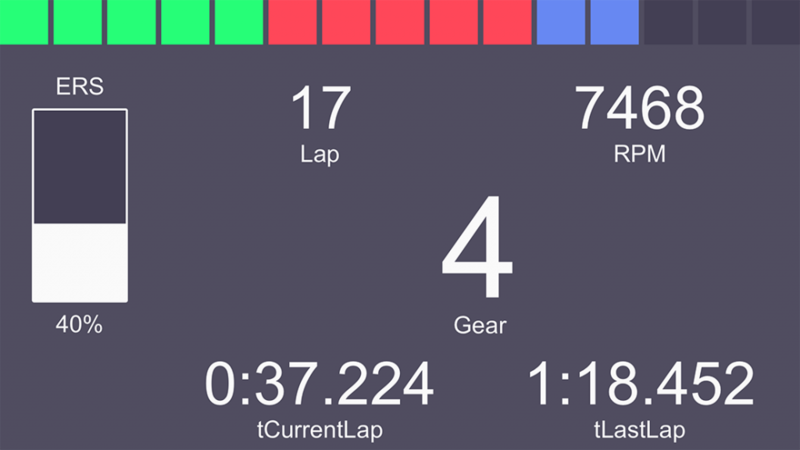 It’s a companion dashboard app for the F1 2016, F1 2017, F1 2018, Project CARS, Project CARS 2 and Forza Motorsport 7 games which recreates a race car dash and displays live telemetry data from the game to add depth and realism to your sim racing. Race Dash for Sim Games v3.3 is now available in the iOS App Store. It’s a companion dashboard app for the F1 2016, F1 2017, F1 2018, Project CARS, Project CARS 2 and Forza Motorsport 7 games which recreates a race car dash and displays live telemetry data from the game to add depth and realism to your sim racing. Race Dash for Sim Games v3.2 is now available in the iOS App Store. It’s a companion dashboard app for the F1 2016, F1 2017, F1 2018 and Forza Motorsport 7 games which recreates a race car dash and displays live telemetry data from the game to add depth and realism to your sim racing. -We’ve introduced a simpler pricing structure: Try a basic dash in each game for free to test functionality, you can then unlock every dash for that game for a one time fee. If you’ve already purchased some dashes in the past, don’t worry, you’re taken care of too. -Fixed the lap deltas being shown on Modern dashes to compare to your best lap in a race rather than your last. 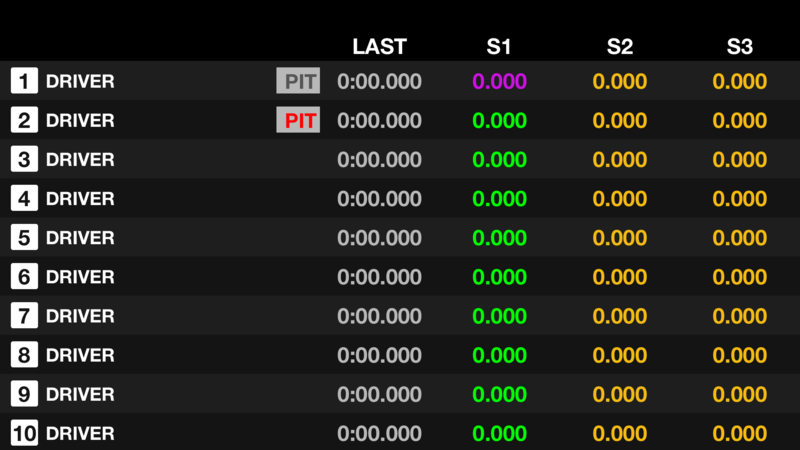 -Swapped current laptime for best laptime on Modern 4. Race Dash for Sim Games v3.1 is now available in the iOS App Store. It’s a companion dashboard app for the F1 2016, F1 2017, F1 2018 and Forza Motorsport 7 games which recreates a race car dash and displays live telemetry data from the game to add depth and realism to your sim racing. Race Dash for Sim Games v3.0 is now available in the iOS App Store. This app was previously known as Race Dash for F1 games but has changed its name because Forza Motorsport 7 telemetry is also now supported. It’s a companion dashboard app for the F1 2016, F1 2017, F1 2018 and Forza Motorsport 7 games which recreates a race car dash and displays live telemetry data from the game to add depth and realism to your sim racing. 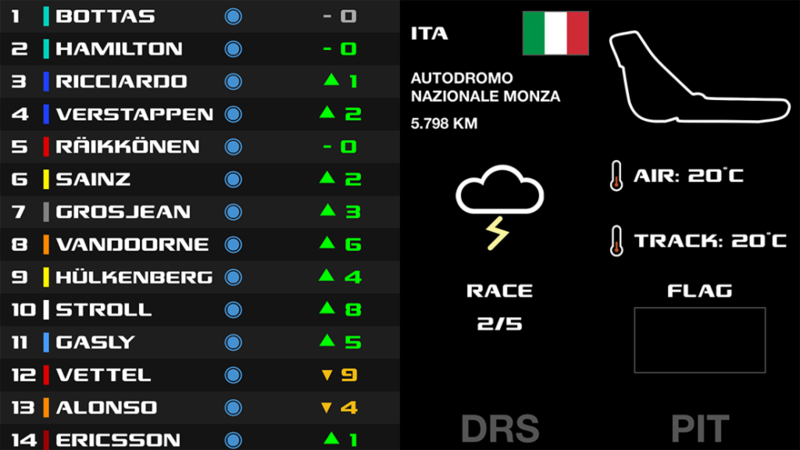 Race Dash for F1 games v2.8.1 is now available in the iOS App Store. 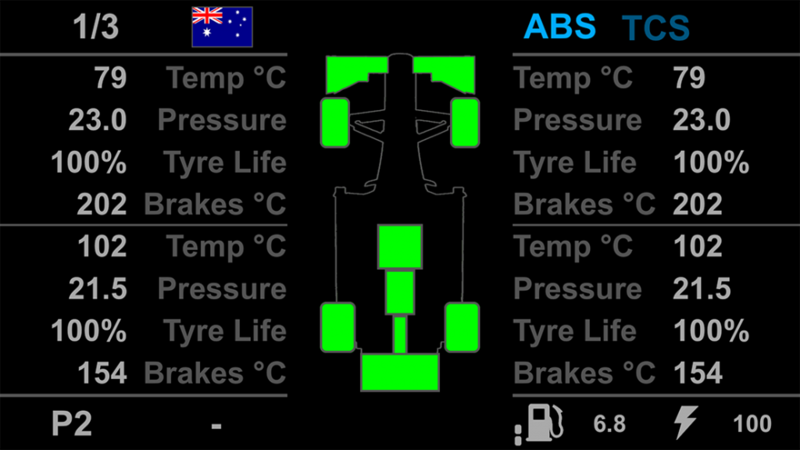 It’s a companion dashboard app for the F1 2016, F1 2017 and F1 2018 games which recreates a race car dash and displays live telemetry data from the game to add depth and realism to your sim racing. 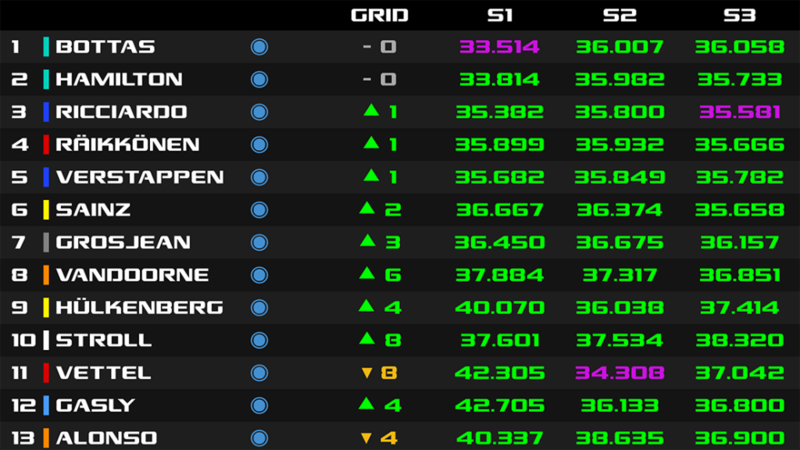 -Modern 4, 5, and 6: Sector deltas are now to the overall best sector in qualifying or practice, and your best in races.